Hyper value keywords are those keywords with all sort of possibilities like high business conversion rates, high competition and high cost per click value. Dying for a hyper value keyword is not advisable. But many SEO case studies shows that a planned attempt with coverage of all favorable points constituting search engine ranking can succeed in listing in higher position of Google for hyper value keywords. In part of SEO planning for hyper value keywords, there are many barrios to cross. A regular updating URL created in seo friendly CMS like wordpress, Drupal or Joomla can be advisable. Initial step is to find a resource for production for fresh content regularly. Usage of wordpress can add many values for your URL. 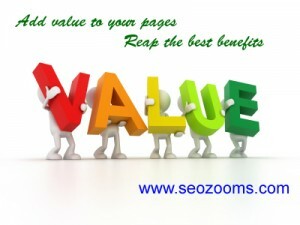 It include utilization of many useful plugins, tools, seo friendly interactive options, etc. Mainly accurate planning is very important with trying to list a website or web page for hyper value keywords. There can be high competition from other providers, publishers, advertising networks etc. Internal links should be arranged in a pleasant manner to build up authorities from social medias, external links, especially Google authority. Once a level of on page optimization is completed. A detailed competition analysis can be conducted. Deeply analyze the competitors identified for the hyper value keyword chosen. Check how the competing websites are getting their reputations. Check out their Google authority, authority factors and learn about their ratio of link building tactics. Need to develop a non compromising strategy in publishing fresh and quality content. Regularly try to publish good valuable content. Adopt a content marketing strategy. Call 0091 – 9020807078 for free website analysis and seo optimization services consultation on SEO strategy development etc.